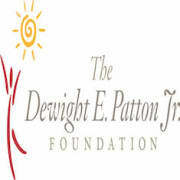 The Dewight E. Patton Jr. Foundation is seeking to strengthen its current Board of Directors with individuals willing to execute on the strategic direction of the organization. We are looking for enthusiastic leaders with three or more years experience as a member of a board. Candidates with experience in non-profit management and/or having professional certifications in Accounting, Management, Youth Development, or Social Services are favored. Our Board meets the 4th Thursday of each month from 6:00 p.m. to 7:30 p.m. We estimate that your monthly commitment will be less than 10 hours per month. Please contact us to further discuss how we can benefit each other."